About 84% of the population of Japan follow two religions: both Shinto and Buddhism. As in much of Asia, Christianity is very much a minority religion. 12 Fewer than 1% of Japanese adults are Christians. Buddhism first arrived in Japan from Korea and China during the 6th through 8th centuries CE. The two religions share a basic optimism about human nature, and for the world. Within Shinto, the Buddha was viewed as another "Kami". Meanwhile, Buddhism in Japan regarded the Kami as being manifestations of various Buddhas and Bodhisattvas. Most weddings are performed by Shinto priests; funerals are performed by Buddhist priests. Seasonal celebrations are held at spring planting, fall harvest, and special anniversaries of the history of a shrine or of a local patron spirit. A secular, country-wide National Founding Day is held on FEB-11 to commemorate the founding of Japan; this is the traditional date on which the first (mythical) emperor Jinmu ascended the throne in 660 BCE. Some shrines are believed to hold festivities on that day. Other festivals include: JAN 1-3 Shogatsu (New Year); MAR-3 Hinamatsuri (Girls' festival); MAY-5 Tango no Sekku (Boys' festival); JUL-7 Hoshi Matsuri (Star festival). These four forms are closely linked. 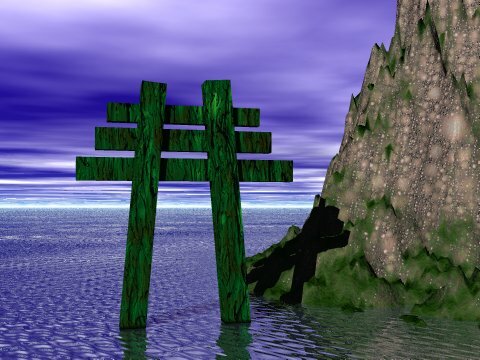 Shinto is a tolerant religion which accepts the validity of other religions. It is common for a believer to pay respects to other religions, their practices and objects of worship. Essentially all followers of Shinto are Japanese. It is difficult for a foreigner to embrace Shintoism. Unlike most other religions, there is no book to help a person learn about the religion. It is transmitted from generation to generation by experiencing the rituals together as a group. JapanZone has an essay on Shinto at: http://www.japan-zone.com/omnibus/shinto.shtml They also have many essays on Japanese culture, climate, history etc.